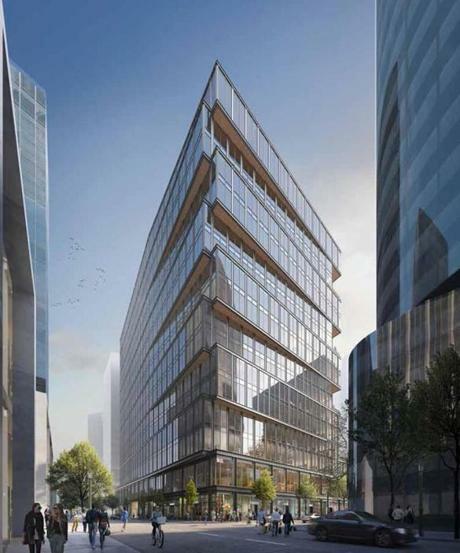 WS Development released images of the building it would construct for Amazon on a pedestrian promenade. 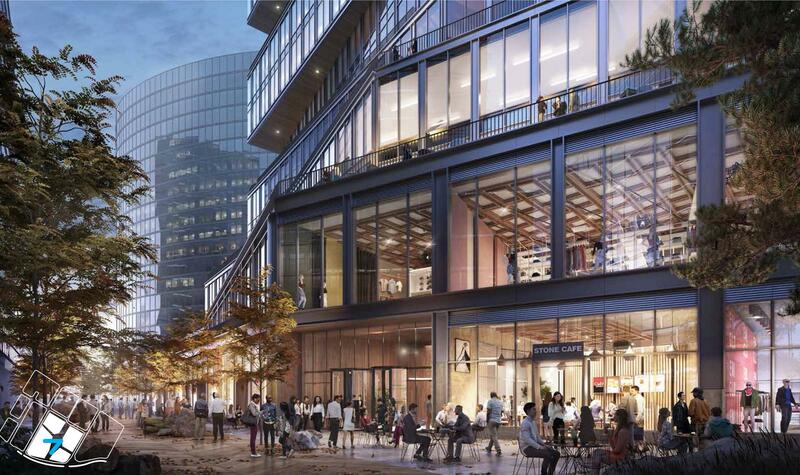 Amazon is planning to lease a whole new building in the Seaport District, to house 2,000 new employees. Monday we got our first pictures of what that building could look like. WS Development released images of the building it would construct for Amazon on a pedestrian promenade. 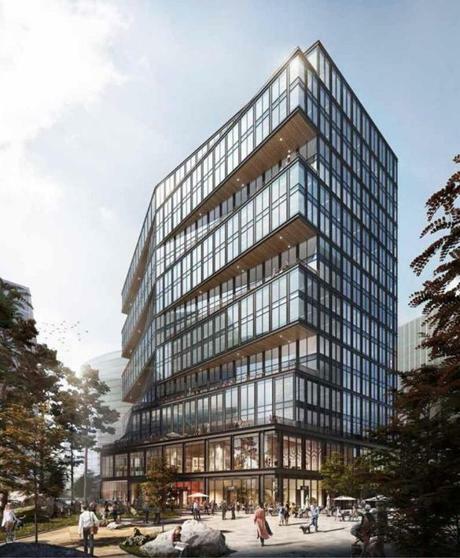 Designed by architecture firm Gensler, it would have 15 floors of office space above a two-story retail “paseo” that’d be open to the public. The proposal is scheduled to be reviewed Tuesday by the Boston Civic Design Commission. It has already received its major permits from the Boston Planning and Development Agency. Amazon hasn’t signed a lease yet, which may be why there’s no trademark orange arrow on the facade. But the company is in advanced negotiations with WS and last month was approved for $5 million in city property tax breaks to bring 2,000 jobs to the site. 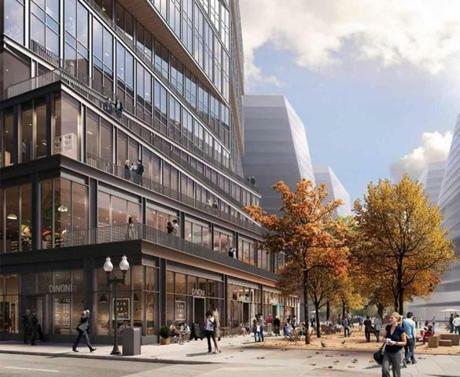 Amazon is scheduled to move in in 2021, and as part of the deal, the company has an option to lease a second building across the street, should it need more room to grow. The Autumn Lane street view.